Save Naboo, build your own world, and more! From planet Earth to the planet of Naboo, we've got games reaching all sorts of heights! 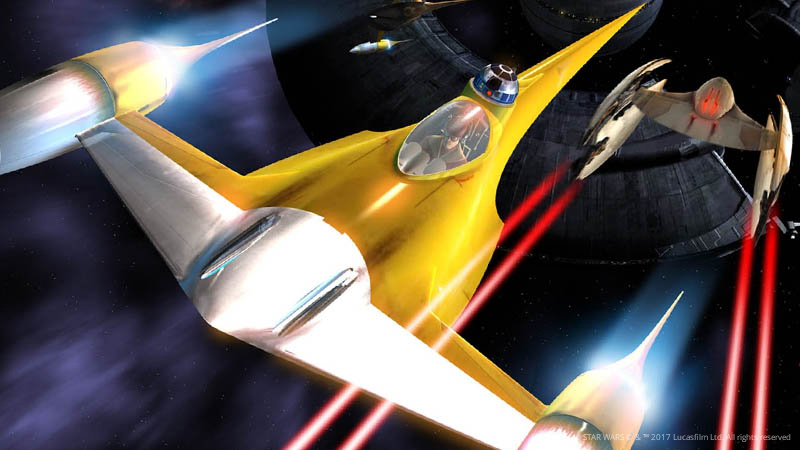 Try out Star Wars: Starfighter if you're wanting to keep going in the world of Star Wars. This time, play as one of three characters working to save Naboo. In Rise to Ruins, see if you have what it takes to create and foster a village. It's more challenging than it looks...especially when the monsters attack! If you're looking for a hidden object adventure with a strong female lead, look no further than Dark Angels: Masquerade of Shadows. See if you can help Kara save the world and solve the mysteries of her mother's death. Relaxing can also take a front seat this weekend! We've got Farm Frenzy, where you can see if the farm life is for you...or go even more abstract with Lantern as you play a gust of wind, bringing love and color to the world.